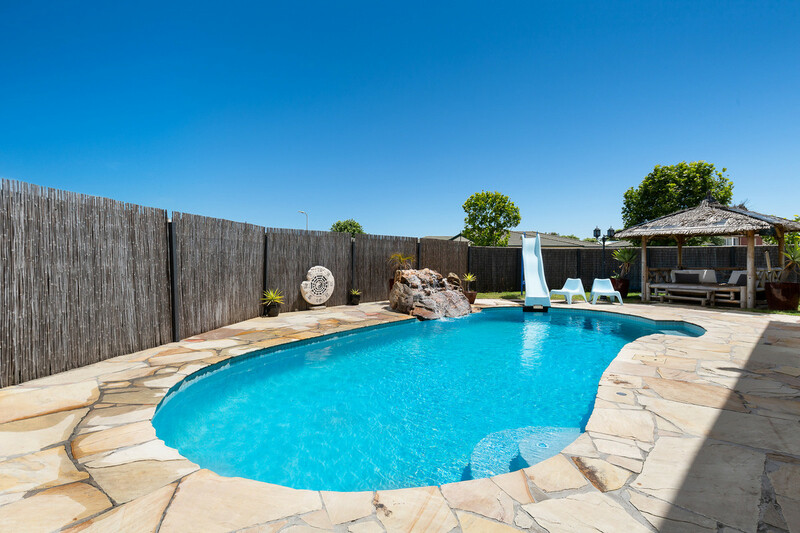 Tick off your wish list in sensational fashion with this family entertainer that offers something for everyone from a poolside precinct to a massive man cave and year-round outdoor entertaining set on a coveted corner block in a quiet yet convenient neighbourhood. Fully fenced and private, the four bedroom, two bathroom plus a study home is highlighted by a fabulous floorplan with three living areas, a focus on indoor-outdoor entertaining and stylish finishes. 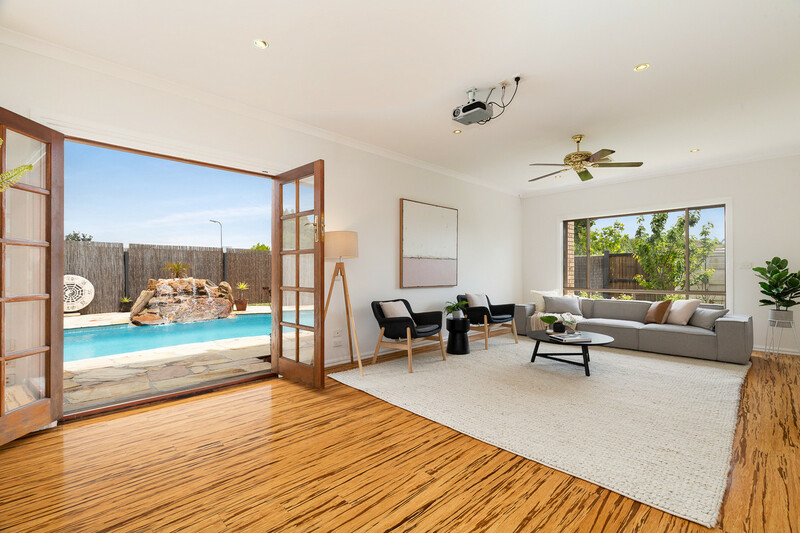 Beyond the two-storey entrance void, a formal living room with cinema projector opens to the first of the outdoor entertaining zones that features a solar heated swimming pool with a slide and water feature and Balinese cabana. 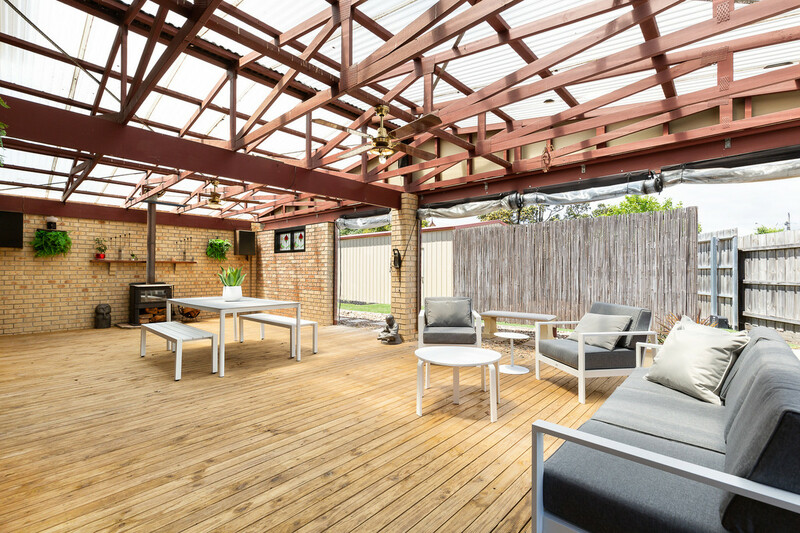 A family living and dining precinct is inviting in any season with a wood combustion fireplace and sliding and bifold doors to an enormous undercover entertaining deck where many a gathering will be enjoyed with family and friends. 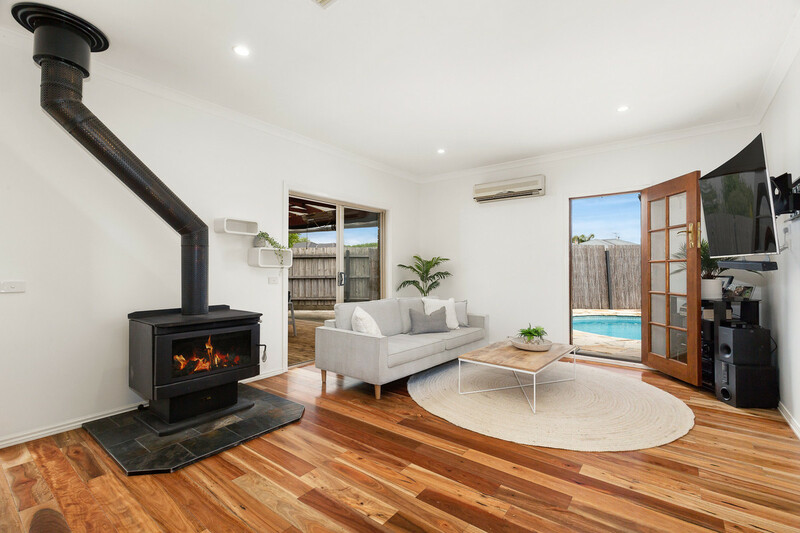 A fireplace, ceiling fans, café blinds and electric heating transform this space into a fully fitted outdoor living room. 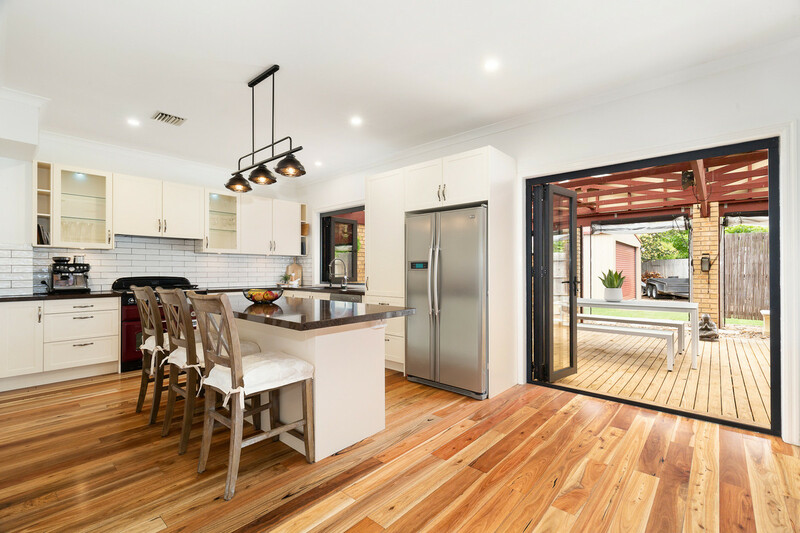 The accompanying kitchen features servery windows to the deck and beautiful appointments including a central granite island beneath bespoke industrial pendant lighting, subway tiled splashback, pot washer tap, Asko dishwasher and the star of the space…a Falcon freestanding cooker. 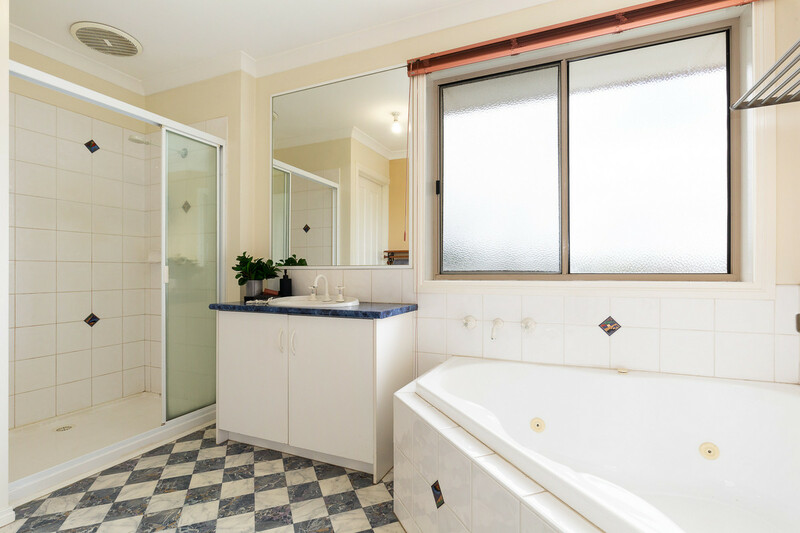 Upstairs, a rumpus room provides a quiet place of retreat for the four bedroom accommodation that includes a spacious main bedroom with walk-in robe and spa ensuite, ceiling fans in all bedrooms and a bright main bathroom with separate toilet. 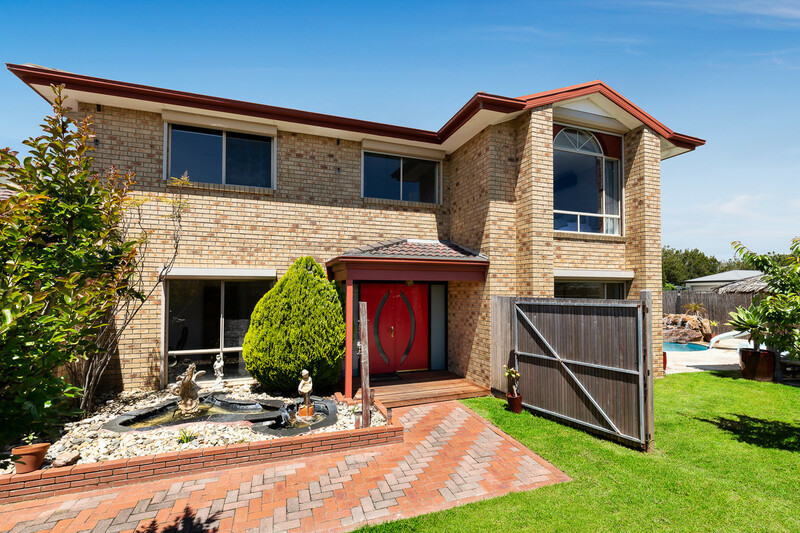 An endless list of extras include a double remote garage with internal access and rear roller door plus a separate double garage/workshop for the car enthusiast or tradie and ample room for a boat, or caravan. 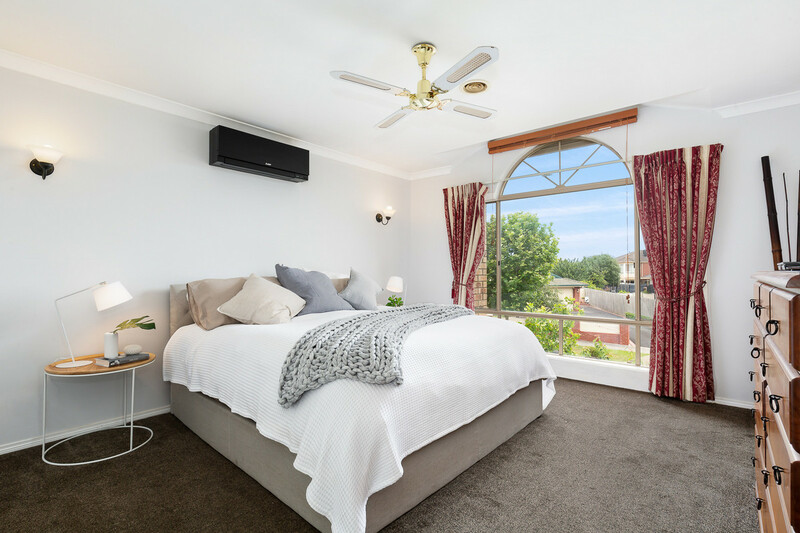 Features include ducted heating, split system air conditioning, stylish contemporary flooring, external security shutters, alarm, under stair storage and garden shed. 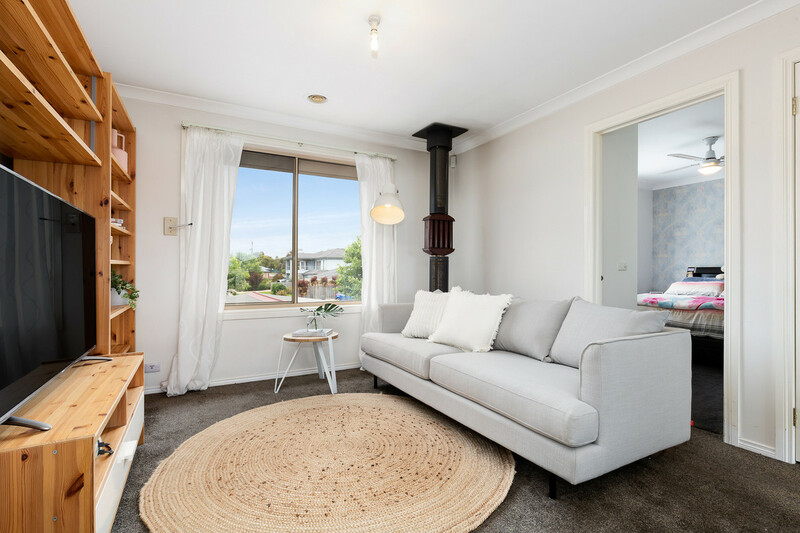 The icing on the cake is the family friendly setting close to parkland, schools including nearby St Macartan’s Parish Primary, Mornington Racecourse, trendy cafés and Mornington Peninsula Brewery, Peninsula Homemaker Centre and Main Street.